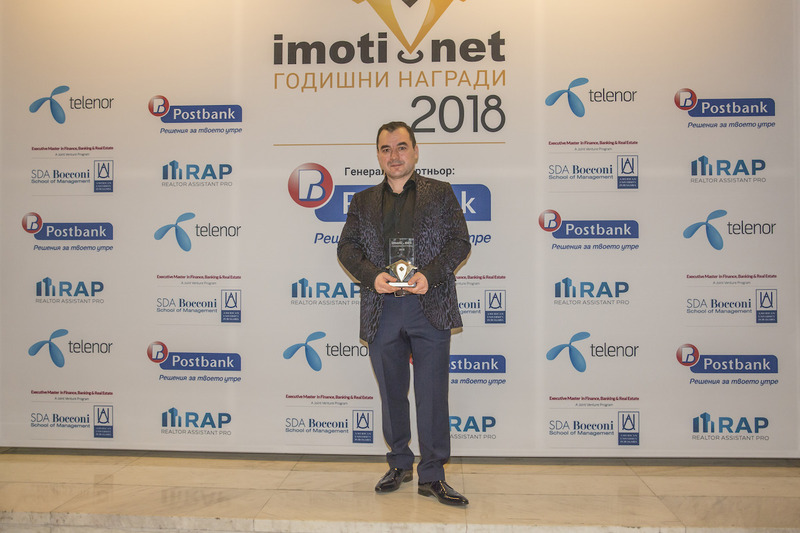 Evgeni Zlatev, partner at SUPRIMMO, won the award of Consultant of the Year of the Real Estate portal Imoti.net for the year of 2018. The event took place on March 20 in Club 1 in Sofia and brought together consultants and managers from all over the country. 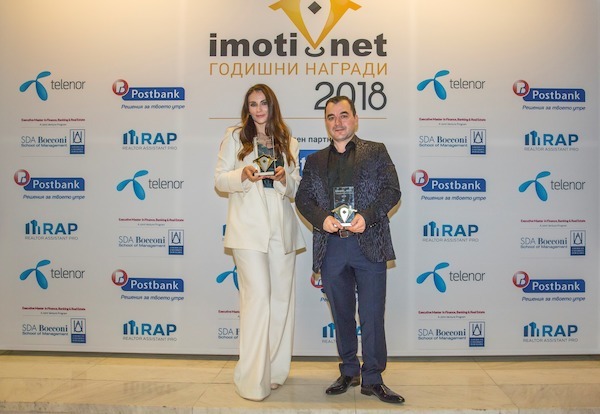 Imoti.net organized the prestigious forum for the 4th consecutive year, and this time the purpose of the event was to distinguish and promote good practices in the real estate branch. The first award for the evening was of the category "Consultant of the Year" and went to Evgeni Zlatev - a partner at SUPRIMMO and a long-time professional, defending the high standards in customer service and investor engagement. See all offers from the portfolio of Evgeni Zlatev! Luximmo Finest Estates, an agency part of our corporate group, also received great recognition in the extremely important category "Best Real Estate Website". 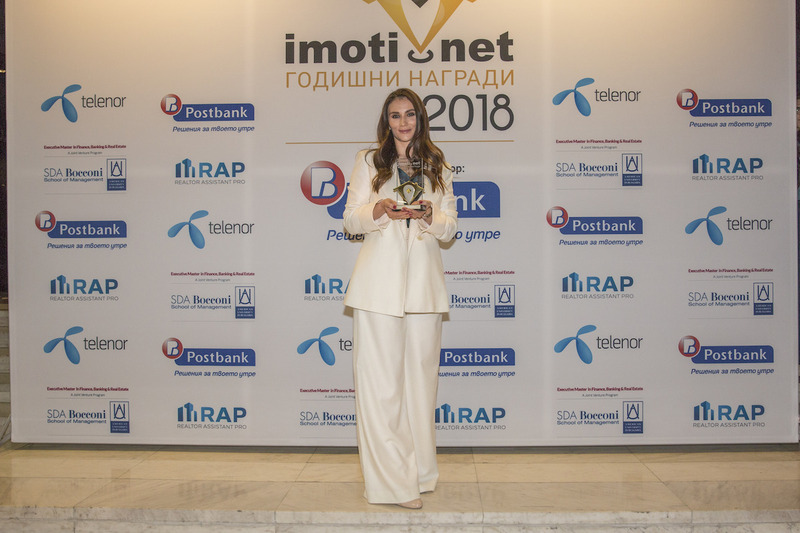 The award was received by Nevena Stoyanova, Managing Director of Luximmo Finest Estates. Stoyanova thanked the jury and said the website was yet to be developed and to be imposed standards for the digital presence in the industry. In the category Residential Properties, the Plovdiv City Park project was awarded and it is part of our portfolio . Learn more about the complex! This article is a property of our company and its distribution rights belong to its author. All photos, texts, video clips, graphics and banners in this article are owned by SUPRIMMO and are protected under the Copyright Act of the Republic of Bulgaria. If you wish to use the information in this article, please contact us to obtain permission.